Please email Admin@LaSagesse.com for full Terms and Conditions. Our lush tropical gardens, warm sand, Caribbean calm waters, exquisite dining and accommodations are the ideal location for the perfect holiday in Grenada. Whether you're planning a Caribbean family vacation, a romantic getaway, a business trip, a wedding or honeymoon, La Sagesse Boutique Hotel, Restaurant and Beach Bar offers the perfect setting for whatever occasion brings you to Grenada. Situated on a tranquil bay, just a few steps away from a palm tree shaded beach with a stunning view of the sea and the surrounding countryside, La Sagesse is a perfect blend of natural elements and contemporary comforts. Indoor and outdoor living in perfect harmony with nature. Our lush tropical gardens are the home for a dazzling array of plants, birds and butterflies that will tantalize your senses as you relax as you only can at La Sagesse. 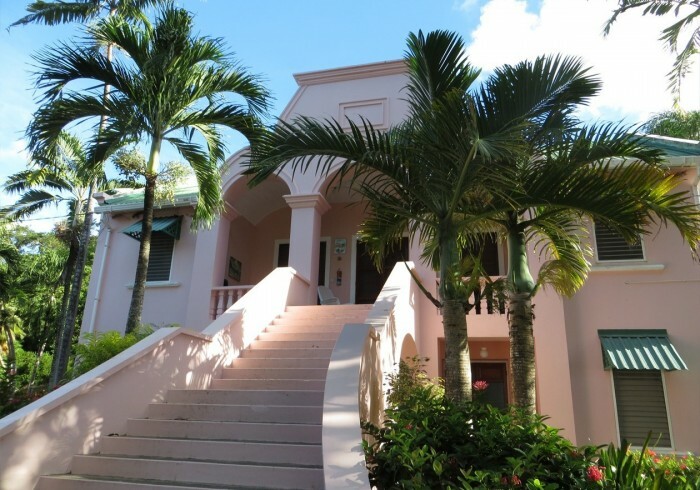 Conveniently located in the beautiful, rural parish of St. David's, less than 30 minutes from Maurice Bishop International Airport, Grand Anse and St. George's.